The Technological Advancement Award recognizes a leader whose focus on emerging technologies has had a significant positive impact on the organization. 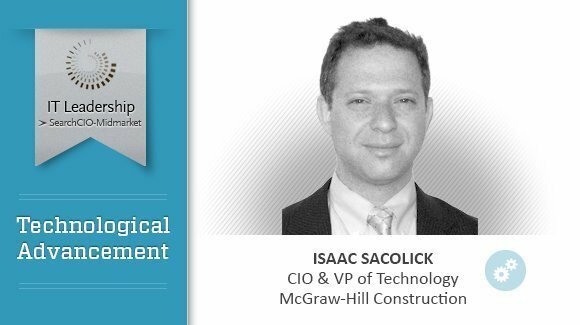 Our Technological Advancement Award winner, Isaac Sacolick, CIO and vice president of technology at McGraw-Hill Construction, has implemented best practices in Agile development in the IT space, and his efforts are spreading across the company, in what his company president calls "Isaac's Agile," which is driving revenue through new product offerings and a portfolio management approach. To learn more about Sacolick and his work, read our Q&A.